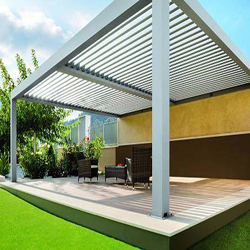 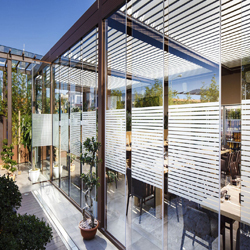 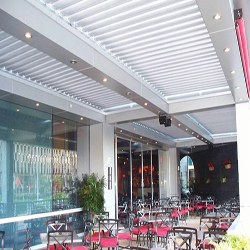 1)Pergolas and horizontal louver roof are completely made of aluminum and allows light and breeze when open. 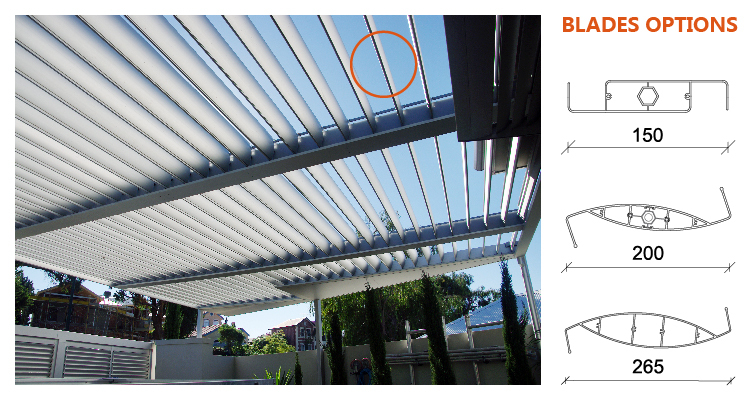 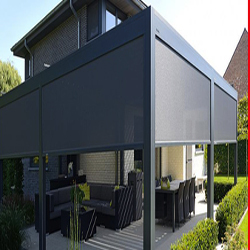 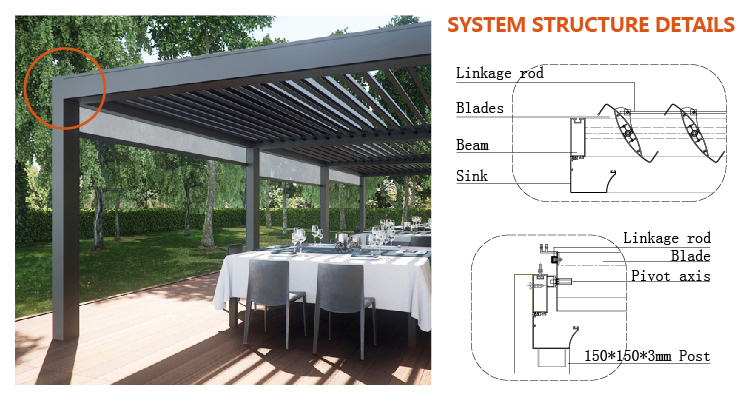 2)With an electric motor system and aluminum extrusions specially designed,the louver blades of the covered pergola are closed completely to prevent the sunlight and rain. 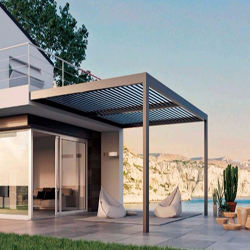 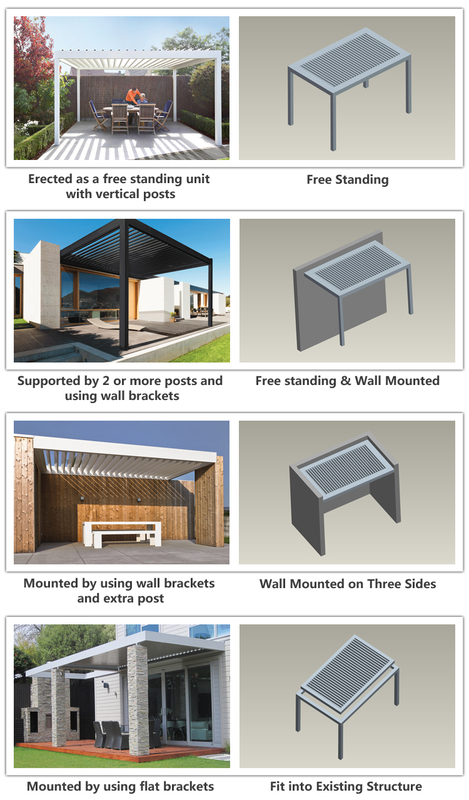 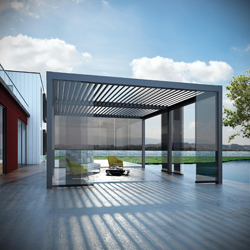 3)Can control outdoor living weather with the innovative Aluminum Pergola Opening Roof System. 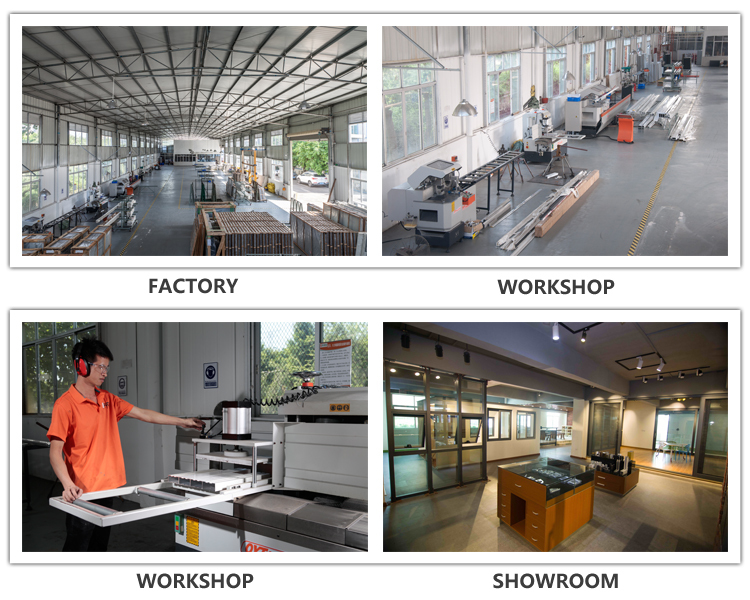 Guangzhou Apro Building Materials Co. Ltd(APRO) is professional in design, developing, manufacturing, installing, after-sale service alumiunium products. 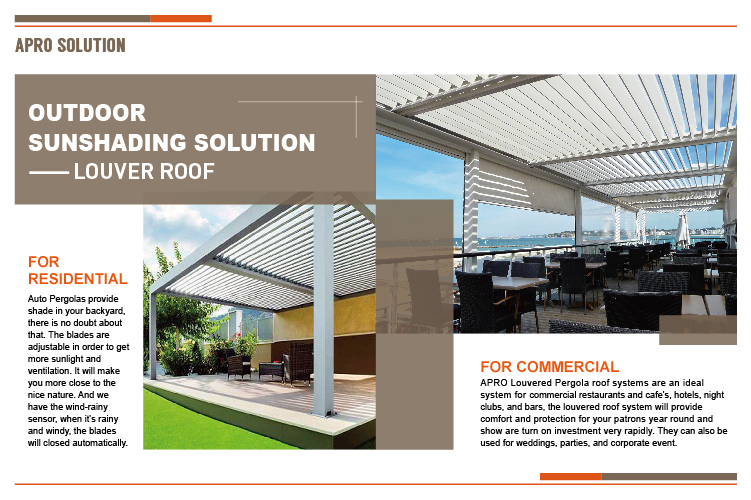 APRO is an icon with the meaning of young, energetic, professional, international vision. 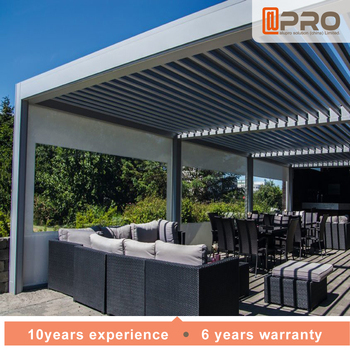 With technical expertise and high quality service, our mission is to building a professional servicing to customer and providing one stop service for building material Business.